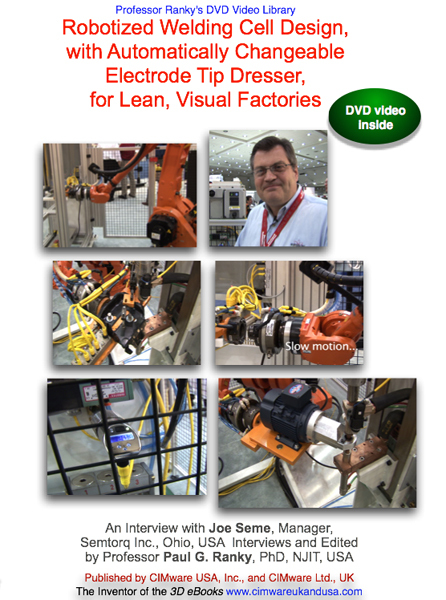 Description: This electronic publication is a professional quality DVD video presentation of lean, flexible, agile and reconfigurable robot cell designs by Terry O'Connell, Vice President, Genesis Systems Group, USA. The discussion topics and application examples include lean cell design principles and examples, the role of sensors in cells, robotic handling, tooling and welding, as well as other computer controlled, advanced processes. Description: This electronic publication is a professional quality DVD video presentation by Harry T. Roman. Tested on many undergraduate and graduate students and professionals in the USA and in the UK, is an excellent introduction to service robotics principles, requirements, design challenges, applications, and practical examples. 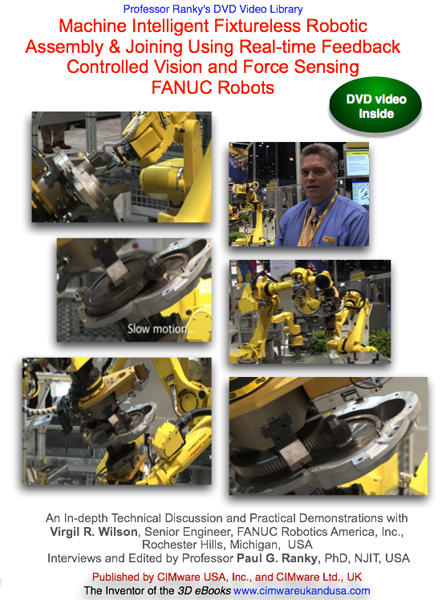 The optional 3D eBook publication, tested on many undergraduate and graduate students and professionals in the USA and in the UK, is an excellent introduction to Service Robotics principles, requirements, design challenges, applications, and practical examples. Description: This electronic publication is a professional quality DVD video presentation by the Hong Kong PolyU - Industrial Centre professional staff. Tested on many undergraduate and graduate students and professionals in the USA and in the UK, is an excellent introduction to some rapid prototyping and rapid manufacturing principles, technologies, requirements, design challenges, applications, and practical examples. 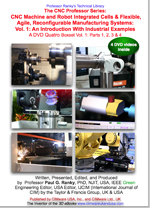 Description: This electronic publication is a professional quality DVD video presentation of lean, flexible and reconfigurable cell components, cells, and system designs by HEXEL, FANUC, OKUMA, and MAKINO USA. 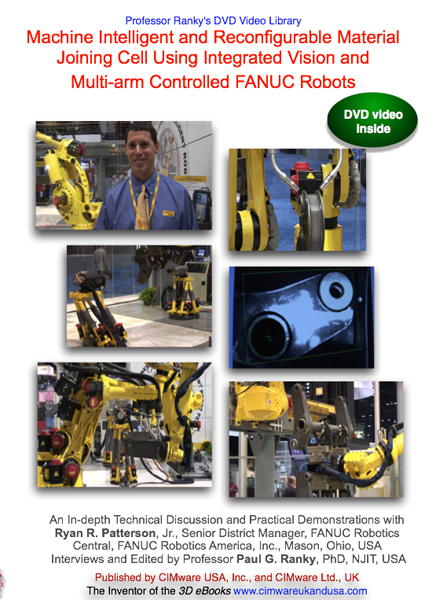 The discussion topics and application examples include the HEXEL modular 6 axis CNC table design for 5 axis milling applications with demonstrations; FANUC robots serving a small cell of OKUMA CNC machine tools with part-orientation and vision test systems integrated; OKUMA and MAKINO flexible cell and system components, and operation demonstrations of working cells. 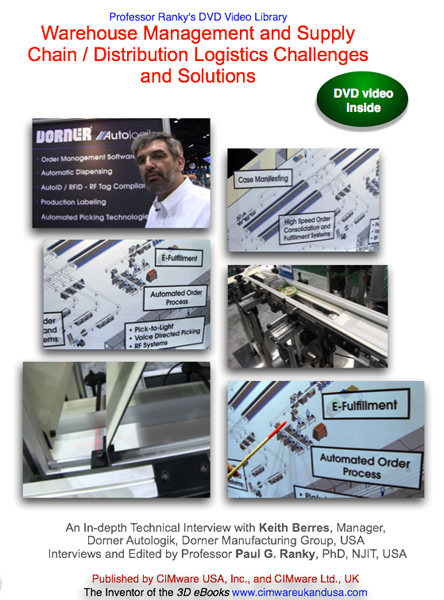 Description: This electronic publication is a professional quality DVD video presentation of an advanced, ultra-high pressure abrasive flow waterjet cutting system for lean manufacturing operations with practical demonstrations. The discussion topics and application examples include: What are the system components? ... How does the technology work?... What are the main application areas?... How does ultra-high pressure abrasive flow waterjet cutting compare to other methods? ... What materials can be cut, what are the benefits and limitations, what is the error and the quality of the surface finish? ... How can the technology be adopted for robots for cellular manufacturing? ... and others.